Upcoming design reviews: B&O site and 1222 E Pine St. 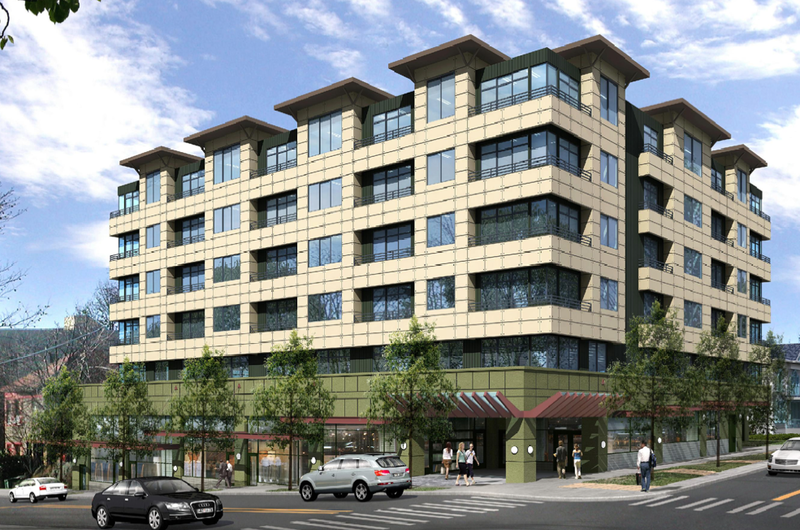 This Wednesday brings another Capitol Hill Design Review Meeting for the B&O site. If you missed out on January’s review meeting and the infamous old lady, now is your chance to weigh in on the proposed project. You can download the new presentation here, but I’ll tell you, it’s not all that different. There are now two new facades for either their T-shaped plan or their C-shaped plan, and both are utterly nondescript, just like the old ones. Its unfortunate that with such a important site in the neighborhood, NK Architects are showing absolutely no signs of sensitivity, let alone ingenuity. Perhaps they should take some Lessons from Liz Dunn. Also on Wednesday is a design review of 1222 E Pine St, a proposed 6-story, 75 unit apartment complex, with office space and ground floor retail (122 parking spaces). The project is being designed by Roger H. Newell (see 1623 Bellevue Ave) and you can download the proposal here. Not a lot stands out about this project either, but then, its mostly just a parking lot, and pretty much anything’s better than that. Seriously, this is Seattle. We have lots of other brilliant, creative, community oriented people? We’ve got Liz, and there are at least a few others, but what gives with all the hacks? You’re not building office parks in Irvine, California, you’re building prime real estate on bloody Capitol Hill! Have you no pride? “Office parks in Irvine,” that’s right, perfect analogy, Comrade! We’ve got lots, more on the way. Will *anyone* want to live in these buildings 20 years from now?